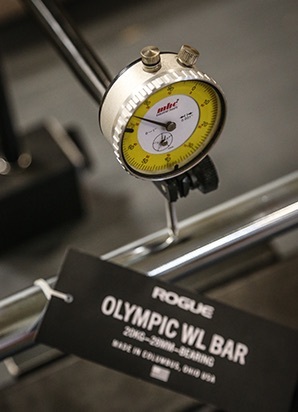 Here at Rogue Fitness Europe, all team members must be willing to do hard work, tackle new challenges, work together as a team, and have the drive for the company and themselves to succeed. This means you can work multiple long days in a row, rise to the occasion of new challenges, pitch in even when the responsibilities are not your normal ones, and dig deep when things get rough to produce a positive outcome. Rogue Fitness Europe is an Equal Opportunity Employer. Position Description: Interact with customers to provide and process information in response to orders, inquiries, concerns and requests about products and services. Greet and interact with customers directly. Assess customers’ needs and provide assistance and product information. Checkout and process sales, returns, and exchanges. Communication skills at least in English, Flamish, French - verbal and written. Position Description: Process information in response to new and returned orders, and investigates quality misses. Process new orders, forms, applications and requests. Receive and process customer returns and exchanges. Issue refunds and credits for returned merchandise. Investigate details of missing or damaged product, shipments, and other quality issues. Proficient English language skills are required. Good communication skills - verbal and written. Strong attention to detail and accuracy required.